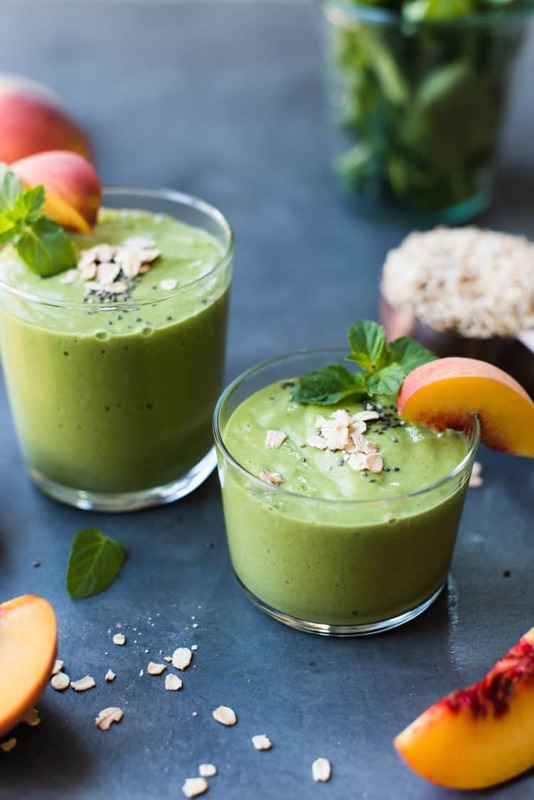 Peaches and Cream Green Breakfast Smoothie is a refreshing and wholesome way to start the day! 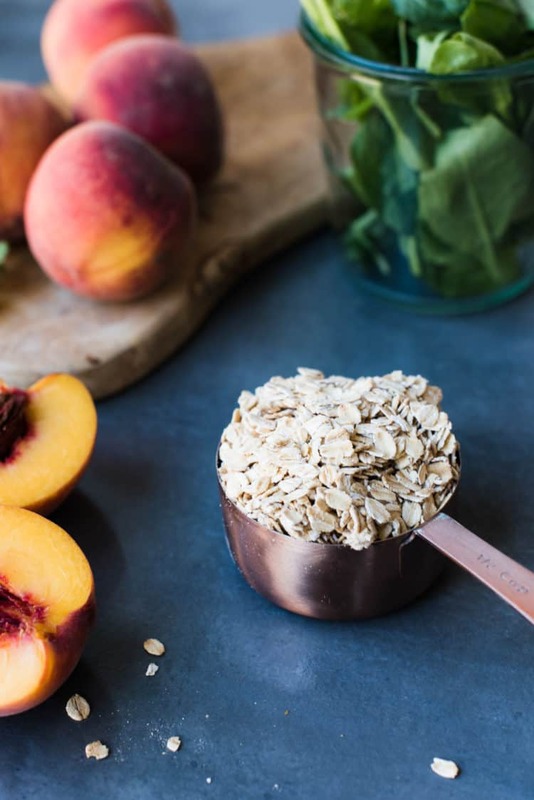 This peach smoothie has spinach, oats, banana, and chia to fuel up all morning long! A Peaches and Cream Green Breakfast Smoothie is a tasty and wholesome way to start the day! 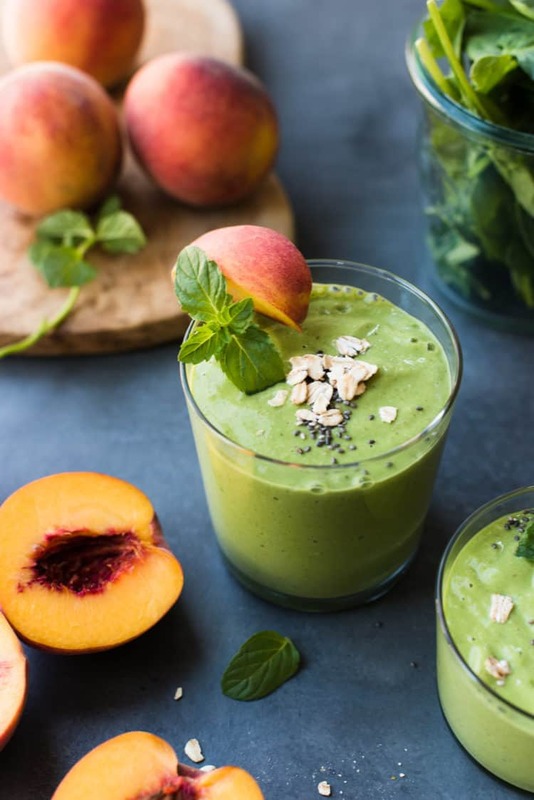 This peach smoothie has spinach, oats, banana, and chia to fuel up! If there’s any danger of my kids sleeping past their morning alarms, there’s one thing to guarantee they will wake up. Right on queue, the blender gets to work whipping up morning smoothies for my kids, and by the time they make it down the stairs, it’s time to make my own smoothie, which you could call my latest smoothie obsession. Now you know how much I love my mango spinach green smoothie, right? It’s still my go-to after a workout. But what about before? I find that I need a smoothie with a little more oomph for breakfast that will fuel me up for a morning workout. The peaches have been so lovely lately, I have been loving them in my summer morning smoothies. By adding oatmeal and chia seeds, Peaches and Cream Green Breakfast Smoothies have lots of protein and fiber, and not only makes me ready to tackle the day, it fills me up until lunch! It’s like peaches and cream oatmeal, ready for summer! Forget sleeping in, smoothies are waiting! 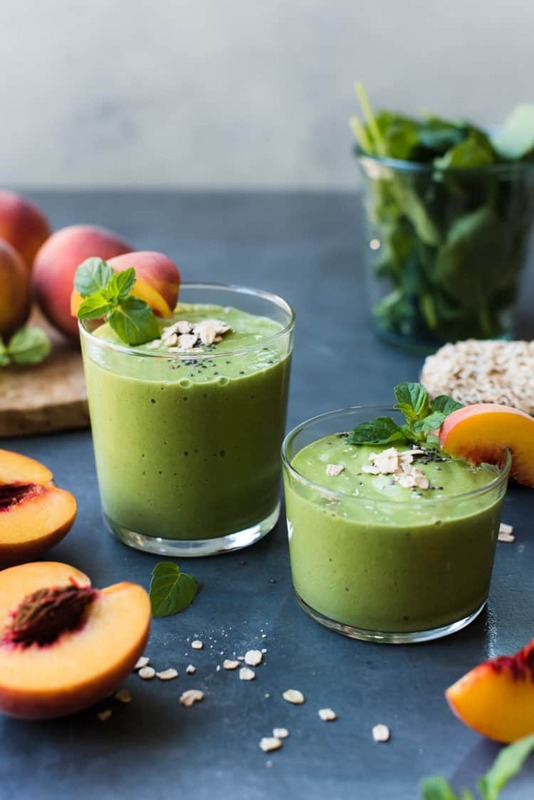 Start the day with a Peaches and Cream Green Breakfast Smoothie! 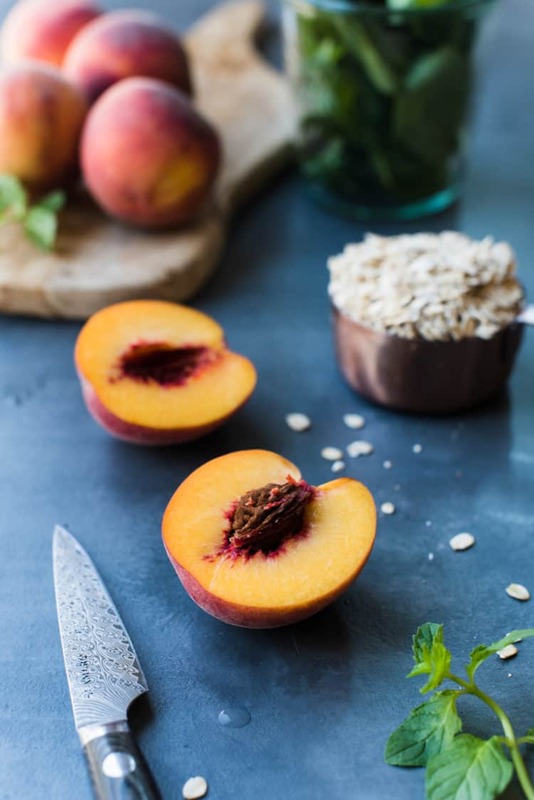 This peach smoothie has spinach, oats, banana, and chia to give you the energy you need! In the bowl of a blender, add the almond milk, peaches, spinach, banana, oats and chia seeds. Add mint, if using. Ohhh peaches and cream.. My favorite combo. Love the addition of oats too. So filling and yummy.